I love our San Francisco fitness community! It’s an amazing thing when a group of women come together not only to sweat, but to forge friendships and build community. When we first started, we had a small gathering of 25 women interested in fitness, and now, we have over 1,000 women in our Facebook group! 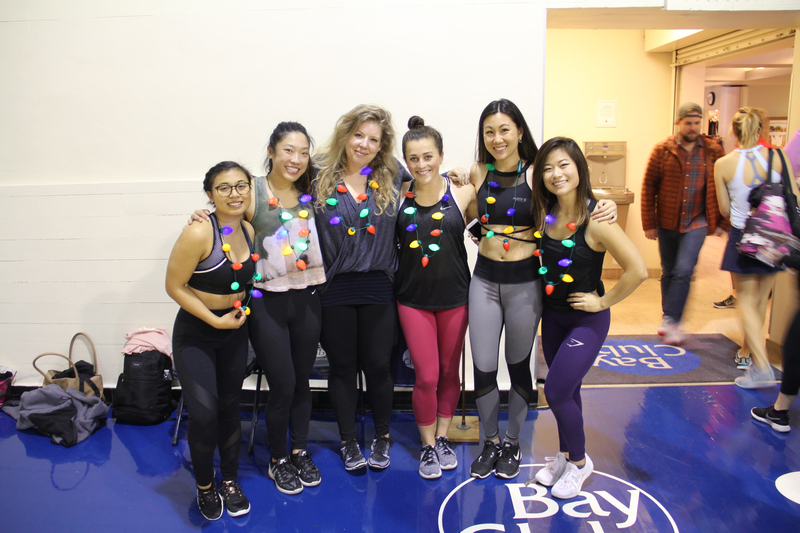 This holiday season, we hosted a group fitness meetup sponsored by the Bay Club San Francisco in their indoor gymnasium. 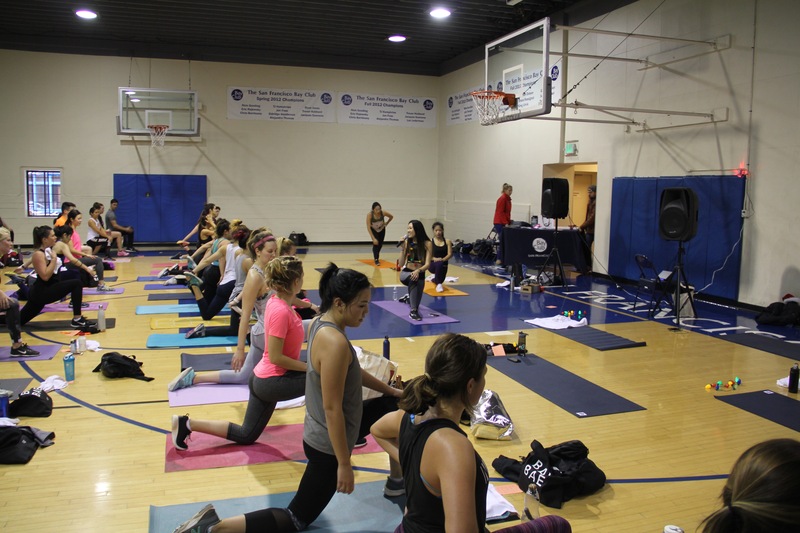 This beautiful gym is home to everything you need for a killer workout including a state-of-the-art weight room, basketball courts, squash and racquetball courts, yoga, pilates, and even an area where you can take a cycling class with your own bicycle. I recently joined this gym, and I am so proud to host our group here as well as call this my fitness home. I had such blast co-leading this workout with my fearless team members Mickey, Brooke, Maddie, and Jeanette, and Wendy! We made the most out of this beautiful space with a killer yet fun workout! We did superman planks, jump lunges, squats, drop push-ups, burpees, and more (full workout at the bottom of this post)! Everyone pushed themselves hard, and did an amazing job. 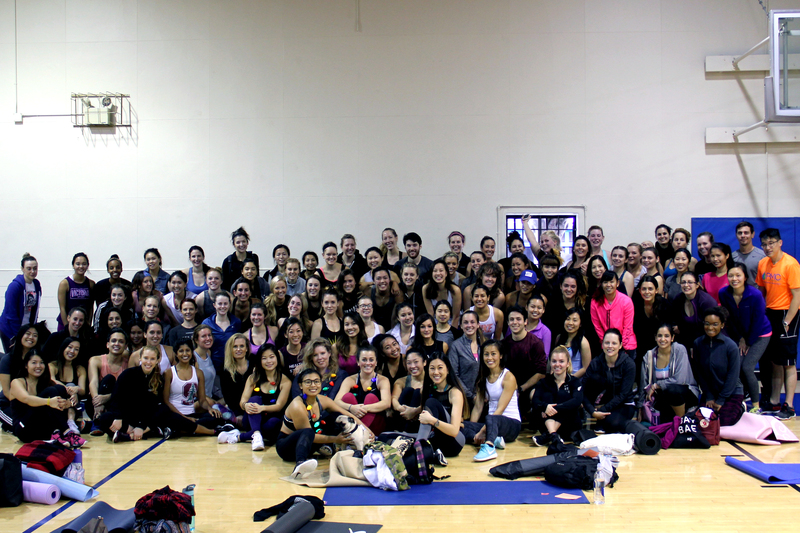 We were so impressed that over 100 people in the Bay Area brought their A-game and killed their workout! And not only did we sweat, but we had fun, forged new friendships and got reacquainted with old ones. We have the most amazing community, and we are so grateful to be a part of such an amazing crew. 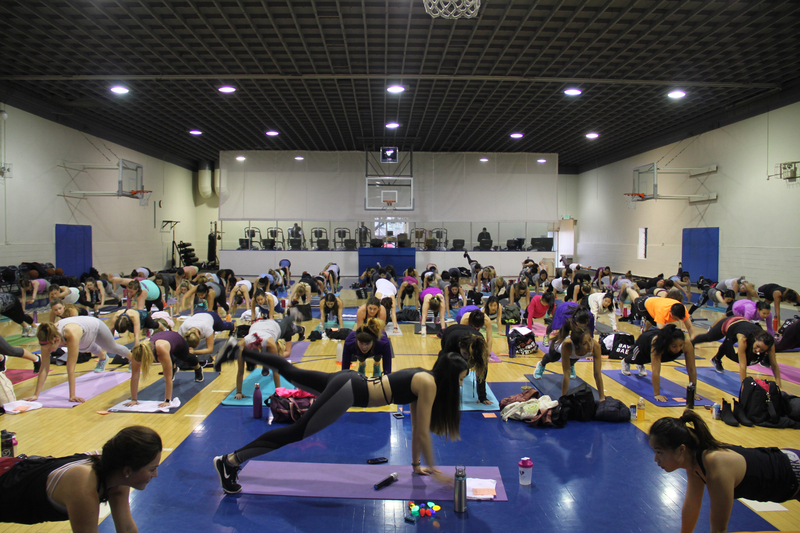 Thank you to all of our friends who came out to sweat, and we hope to meet new faces at the next one! We also couldn’t have done it without our sponsors. We only support brands that we truly love working with, and couldn’t have asked for a better lineup! THANK YOU to everyone below for all of your support! If you missed the workout and want to do it at home, you can! 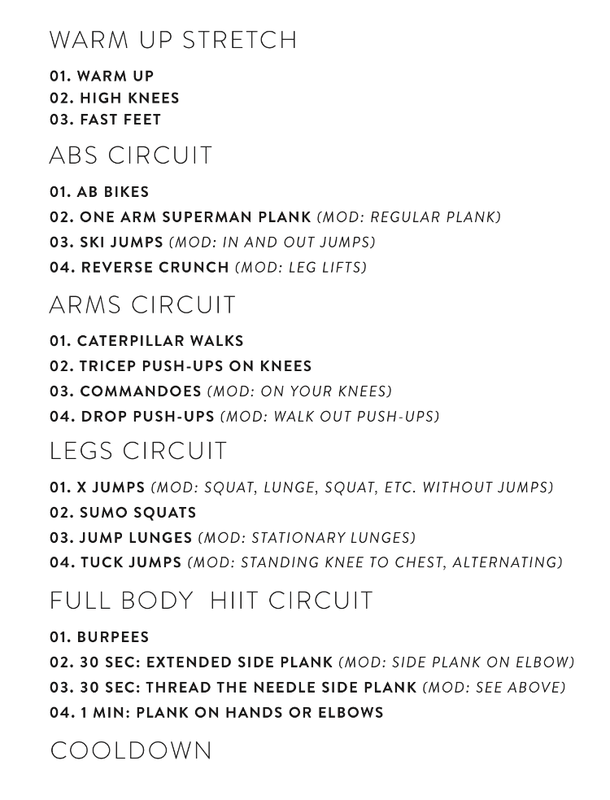 Here’s our workout circuits (one minute per exercise X 2)! Hope you enjoy the rest of these pictures, and hope to sweat with you soon! Looks like a great environment to exercise 🙂 keep up the motivation!